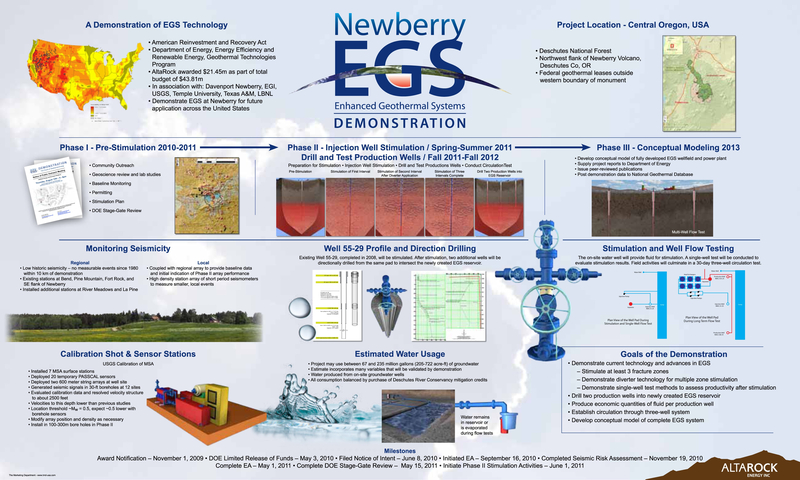 Pictured below is a poster summary of the Demonstration plan for the Newberry Geothermal EGS Demonstration. The Demonstration, a joint project of AltaRock Energy and Davenport Newberry, is located 30 miles south of Bend, Oregon, and is the recipient of a federal grant from the U.S. Department of Energy. Click the graphic to view the full size poster, or download the poster as a PDF.